MOTOLAO diaries from Long Cheng, formerly known as the most secret place on earth. 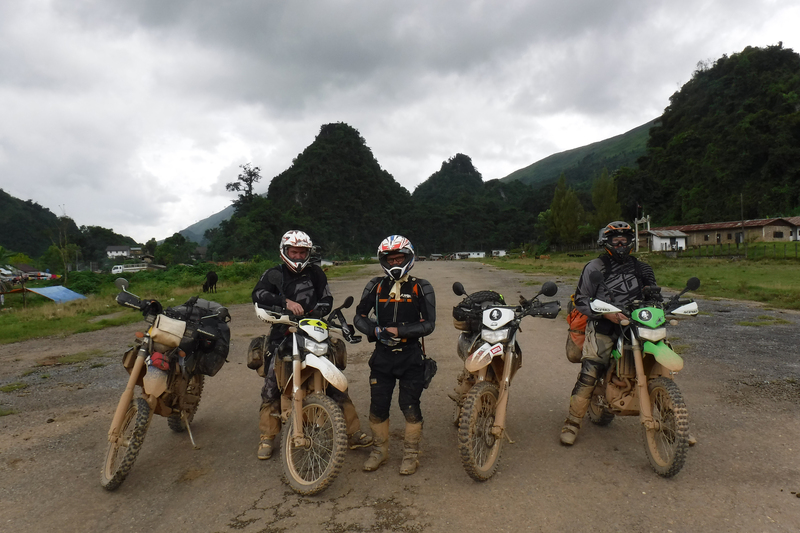 For us who are riding motorcycles through Laos on a regular base, there is hardly an adventure we haven’t been attempting. Unseen landscapes, rough terrain, hardly ever visited villages and people as well as things off-the-map are a daily routine for us who see Laos as our riding home. Every year, MOTOLAO covers an amount miles in Laos alone that would span the entire planet… every year. So, if there is something we haven’t seen or tried out, be sure we are on the way to do so. Long Cheng has been long hidden from view tucked behind its mountain fortress guarded by security for the last 50 years and not open to the public, well that’s all changed now and we have been up to take a look around The Most Secret Place On Earth! Once the busiest airport in the world, the CIA ran a covert operation which saw them Back the Hmong forces of General Vang Pao against the communist forces of North Vietnam. Most of the world knew anything about this, much like congress back the USA, it became known as The Secret War In Laos, The huge network Of Lima Sites (LS Landing Sites) dotted around the mountains of Northern Laos allowed the Supplies to be flown around the Rugged terrain to Aid the displaced people of Laos and move munitions for the war effort, Southern Laos also had its share of Lima Sites as the War Effort was Expanded to Try and close the Ho Chi Minh Trail, small light Aircraft would mark targets on the Trail and Bring on the fast mover to bomb the area, that’s another story. We have been privileged to visit Long Cheng on numerous occasions along with people who were stationed there in the war, pilots or other it’s an interesting place to be with such people, memory’s come flooding back, good and bad, it was a war and with that comes loss of life, other memories are happier. The People of Laos have live with aftermath of the War today; ordnance is still lying around as deadly as the day it was dropped. Now, as Laos is opening up to one of the strongest supporting factors of foreign income, tourism, the white spots on the Lao travel maps get smaller and smaller. With an innovative exploratory specialist of awesome riding friends, we make out to a journey unseen in Laos,…and soon be made accessible for visitors from around the world. And be sure that riding off the beaten path is something we just like our daily laundry. MOTOLAO Riding Report: Christopher Lancer, Canada. After reading the advert for this trip I was intrigued, I had so time to explore so I made contact with Motolao and after a visit to their shop I decided to make the trip, their guys new a lot about the place which put me at ease as there are some remote sections of trail, bikes prepped, equipment needed in place and the Knowledge I needed to make the trip a good safe one. My staring point would be Luang Prabang, surely Laos’s finest city? 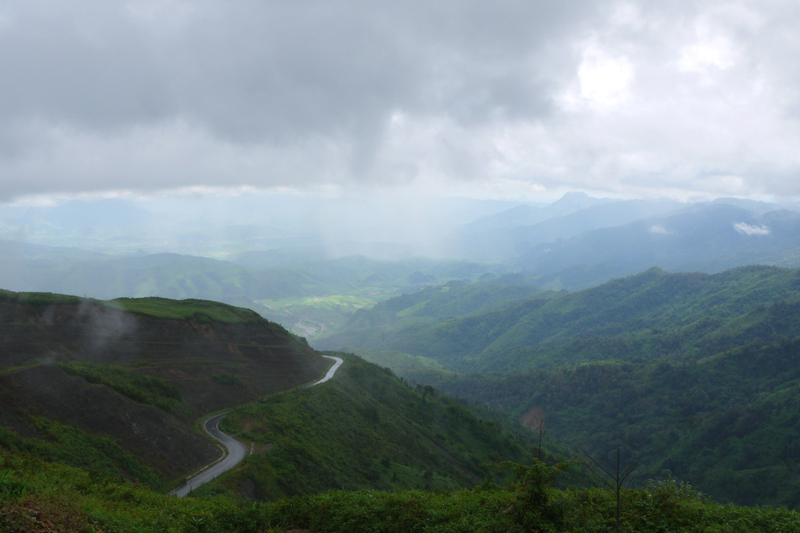 I set of full of Laos Coffee and started my Adventure South, I have to say I was pretty worried that morning, so many things going through my head, off-road was the big one I had little experience a long time ago, tarmac was no problem I whistled through the Laotian countryside enjoying the never ending bends to the splendor of the views, I had taken some food and water and planned stopping at the top of The Kasi Pass to have Lunch, Motolao had recommend this stop and I wasn’t disappointed, alone on a stunning hillside it was like finding peace, I didn’t want to leave it was overwhelming. More mountains and more bends took me into Vang Viang, where I would overnight. Dinner that evening for me was a quiet affair, I had got back to worrying about the remote sections, wondering what if I breakdown, what if I this or that, stupid, eventually I let go of all this and thought about what I had done that day, with all the positives from my day riding a motorcycle through Laos, I would go into tomorrow ready for the challenge. Ready to leave Vang Vieng, I was awake early and once again organized a picnic Lunch alongside breakfast, I was keen to get going as I wanted as much time in Long Cheng as possible, bike checked and gassed and I’m off down through the mist covered mountains of Vang Viang to my Left turn of the Highway, this was a huge moment as the tarmac road gave way to broken pot holed graded dirt, the small villages became more and more remote I was soon alone, I think this is what I had been waiting for, Enjoy the ride! And I did, the trail climbed up into the mountains, gravel rocks and mud gave way to some wonderful sections of riding, time is standing still for me, then I saw the sign for Long Cheng district, I had almost forgotten where I was going, it couldn’t get any better. I rolled into Long Cheng and just sat outside the Village perimeter and gazed down the runway… Long Cheng LS-20A. Finally I went in and booked into the guest House, quickly changed and went outside to look around, my contact in Long Cheng is just entering the grounds of the GH and greets me with big smile and Sabadee, for the next day and half I got shown around, up to the kings place, skyline ridge, walked the runway, saw Vang Pao’s house, all reminders of what has passed… so much to take in and what wonderful experience it had been, laying in my bed at night it was quiet something, the mountains and weather keep the secrets locked in forever you can only imagine what was going on here, some 30,000 people, now ghost town of some 3000. What a trip this had been so far, tomorrow I would tackle the trail to Phonsavan. I arrived in Phonsavan Exhausted, the ride had been hard but rewarding, I decided to have a beer before I did anything else, a sort of landmark on my trip, for tomorrow I would be back on the Tarmac, riding off-road is very different to riding tarmac and something I want to learn more about, I ended up having a few Beers and talking to some people, something I had done a lot of over the last few day, the locals are friendly people full of smiles and goodwill, I enjoyed talking about what I had done over the last few days it gave me a chance to re-live it. Last day for me on the road and I’m little sad its coming to end, the hardest part behind me today would be leisurely blast back to Luang Prabang, just me my thoughts and this amazing road, no straights just bends, up and down it’s a rollercoaster, the View point is staggering, I went to very farthest point you could, sat down and though how lucky I was to make this adventure, or do you make your own luck in life?. I rolled into Luang Prabang as if it were a finishing flag, I had made it back safe to the Shop and a warm welcome from the boys, keen to hear stories of my adventure, and it had been an adventure, I didn’t know here to start… guess it had to be Long Cheng, The Most Secret Place On earth.